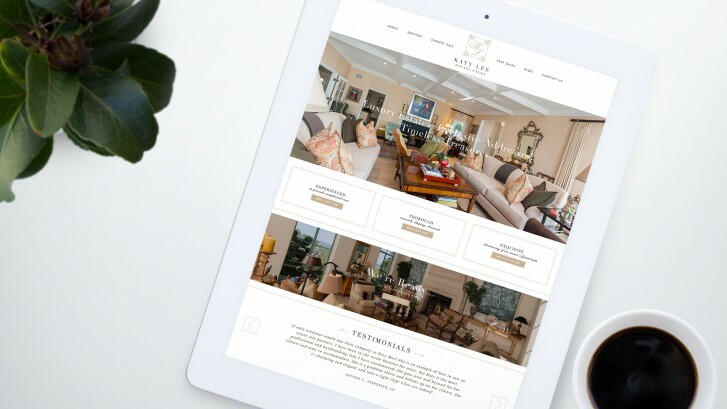 In case you don’t know, Katy Lee Estate Sales produces highly coordinated and crafted Estate Sales, carried out with a commitment to exceptional service, beautiful staging, and attention to detail. Katy Lee Estate Sales marries my greatest passions: interiors, design, art, event management, and most importantly, engaging with others on a deeply personal level. My parents were interior design buffs and I inherited the bug! Growing up in a design-centric household, I was taught to have a deep appreciation for the history of what people keep in their homes. I could spend hours researching an antique or a particular piece of art. I always knew I wanted to do something that would let me develop and exercise my love for design. After earning a Masters in Hospitality and Tourism Management with a specialization in Event Leadership, I worked in Experience Design and Marketing. I set out to have an executive life in the Special Events industry, but ultimately fate had a different plan. Everything clicked and I entered the Estate Sale industry where every aspect of my job brings me joy. In 2012, I launched my business. The home staging, event production, research and cultural artifacts speak to my interests. But it’s the intrinsically personal element of the work, and the relationships I form with my clients and customers that make it my passion. There are not many opportunities in life where you get to see someone fall in love with something right before your eyes. This is one of my favorite perks of my job with my customers as well as watching sale items get passed onto new, loving homes. I feel honored and grateful to be in a position where I find my work so fulfilling. This continues to be a rewarding journey, full of surprises, real-life treasure and incredible people with inspiring stories. I invite you to stay tuned if you love interior design, antiques, art, architecture, lifestyle inspiration, events, Estate Sales & more!